The amount of the U.S. citizens taking antidepressants is close to 10%. And Sertraline is on the leading positions among prescribed antidepressants. Zoloft is highly effective SSRI. However, this drug has a significant risk of overdose. Especially for people who take it without proper medical guidance. It’s prudent to know how to spot signs of Zoloft overdose in oneself or loved ones. How Common is Zoloft Overdose? The Symptoms: How Zoloft Overdose Presents? How is Zoloft Overdose Treated? How Can You Get an Overdose on Zoloft? The study provided by Dr. Lau and Dr. Zane Horowitz found out that in the US, OD caused frequently when sertraline is used with alcohol or combined with other drugs like weed. A thought-provoking finding from this study is that from 42 patient’s ingestions reported at the clinic, 40 people were suffering from a sertraline overdose. Those forty patients were formed into the subgroup. Seventeen patients of the subset ingested sertraline alone, ten of them had no signs or symptoms of OD. The study by the FDA on the level of abuse liability of sertraline found that this drug alone does not produce any positive effects that are associated with Zoloft high and recreational use. Such effects are usually subjective and mainly include the development of euphoria in the person taking Zoloft with a different drug. Sertraline overdose is less likely a result of Zoloft abuse. In most cases where Zoloft OD occurs, the drug is taken in combination with other drugs or alcohol. 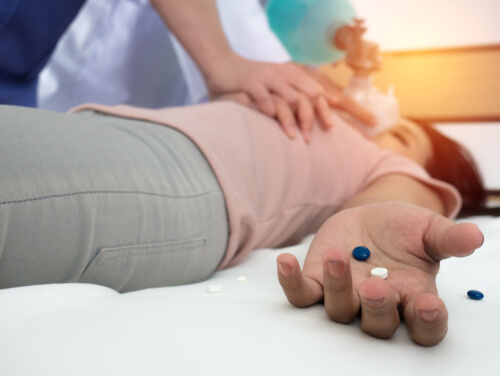 The article in the Journal of Academic Emergency Medicine reports that over half of all reported cases of sertraline overdose occur in people who have also taken benzodiazepines, alcohol, carbamazepine, phenothiazines, and even cocaine. Combining sertraline with other drugs increases the risk of developing serotonin syndrome. The outcome of overdose is better when Zoloft as ingested alone and worse when sertraline is ingested along with other drugs. Any overdose symptoms occurred in 59% of the individuals who only took sertraline alone. How many mg does it take to overdose? Findings from a 1996 study in various control centers across the US show that the ingested amounts in people who presented with Zoloft OD ranged from 50mg to 8000mg. The middle age of patients who had overdosed on sertraline was 35.3 years. Zoloft overdose in most cases is non-fatal. Death from sertraline overdose has been known to occur from ingesting as low as 750mg (fifteen 50mg pills). For this reason, all cases of Zoloft OD should be managed at a health facility by professional care providers. Zoloft is absorbed slowly, and it may take up to 8 hours for peak plasma concentrations to be achieved. When a significant amount of sertraline is ingested, the peak plasma concentrations are reached much faster, and signs of OD may be evident within 3 hours post-ingestion. For the most part, overdosing on Zoloft won’t result in pain and aches. Nevertheless, any sign of drug OD should not be ignored or taken lightly. Somnolence or excessive sleepiness is a common sertraline overdose symptom. This behavioral effect is particularly prevalent when the sertraline overdose occurs in the backdrop of concurrent benzodiazepine ingestion. Tachycardia occurs as a manifestation of the autonomic instability that is precipitated by the presence of high amounts of sertraline and its metabolites in blood. The increased sertraline levels lead to an elevation of serotonin in the brain thereby affecting the autonomic nervous system. Tremor results from the altered neuromuscular activity that occurs from increased sertraline activity in the brain. Sertraline effects on serotonin reuptake in the brain has the potential to affect the peripheral nervous system which consequently disrupts the body’s neuromuscular activity. Dizziness is yet another manifestation of the autonomic disturbances that are associated with overdosing on Zoloft. It may be accompanied by diaphoresis (excessive sweating) and flushing. Agitation occurs due to sertraline overstimulation of the 5HT serotonin receptors in the brain which causes disturbances in a person’s mental status. Nausea and vomiting are part of the gastrointestinal disturbances caused by too much sertraline in the body. Clinically, these two symptoms seem to be self-limiting and may occur as the body tries to expel the offending ingested medication. Other uncommon side effects of overdose include bradycardia (slowed heart rate), convulsions, coma, hallucinations, delirium, manic reactions, stupor, syncope, hypertension, QT-interval prolongation, hypertension, hypotension, bundle-branch block, Torsade de Pointes, serotonin syndrome and pancreatitis. Call 911 and seek help if the person appears to be in great distress. Do not leave the person’s side; keep talking to them calmly and reassure them that they will recover. If the person is agitated, enlist the help of a close friend or family in calming that person down. What Information to Give to the Doctor? Zoloft overdose is often treated in the emergency department. In most cases, sertraline levels in the blood are not routinely measured since getting these lab values might be costly and time-consuming. The physician will instead try to estimate the ingested amount from the history given by the patient or person accompanying them. 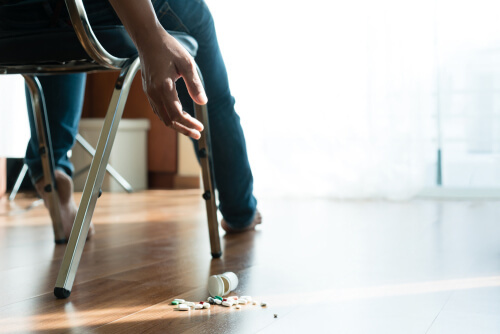 An estimate of the ingested sertraline amount may also be made by counting the number of pills missing from the patient’s prescription bottle. Most symptoms of mild to moderate OD resolve on their own as the drug gets metabolized and eliminated from the body. Most patients with mild to moderate overload, therefore, do not require any specific treatment. They are managed through reassurance and careful observation by a medical professional. The average hospital stay period for a person who’s overdosed on sertraline is usually not longer than 24 hours. The definitive overdose treatment for severe sertraline OD involves gastric decontamination with charcoal or lavage. Hospital admission may also be advised if the doctor feels that there’s need to observe the patient further. Patients may also be referred to a psychiatric hospital for further follow-up and treatment. Significant Zoloft ingestion and OD may also be reported to the relevant poison control centers. Is There Any Antidote to Zoloft Overdose? A specific antidote for sertraline is yet to be found. Thankfully overdosing on sertraline isn’t life-threatening. With proper medical care, the symptoms heal within hours and a person can go on with their normal life. Therefore, it is highly recommended that all suspected cases of Zoloft overdose are reported to the nearest addiction treatment facilities at once. If you or your loved one have questions about Zoloft overdose or how to manage it feel free to call (888)-459-5511. All calls are secure, confidential and private. How much of Zoloft would be considered over dose?